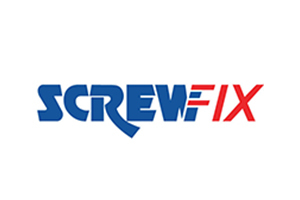 Screwfix is the UK's largest multichannel supplier of trade tools workwear, and plumbing and electrical essentials. With thousands of calls coming in from customers, it was imperative that Screwfix increase voice channel security without compromising their reliable, personalised and uninterrupted customer service. With over 30 years' experience in the industry, Screwfix despatches tens of thousands of parcels every week for next day and weekend delivery to tradesmen and DIY enthusiasts all over the UK. With thousands of calls coming in from customers, it was imperative that Screwfix increase voice channel security without compromising their reliable, personalised and uninterrupted customer service. CallGuard Hosted enables advisors to remain on the phone with the caller and guide them verbally through the payment process. When a caller types their card details into their handset the DTMF tones are intercepted by CallGuard and replaced with monotones, allowing call recording to continue with no implications to PCI DSS. As only masked card numbers are shown on the Advisors CallGuard web panel, they can assist the customer in the event of any difficulty. Screwfix agents are not burdened with data that they do not need to see and the organisation has greater control over the information that their customer facing staff have access to. This assures their customers' data is protected. The whole telephone call is recorded (no need for pause and resume). Sensitive payment card details are completely omitted from the call centre environment. The agent retains full control of the call. Increased brand reputation for customer data security. The entire contact centre is fully PCI DSS compliant. CallGuard enables us to take payments from customers over the phone in a PCI compliant way, without compromising the customer experience."